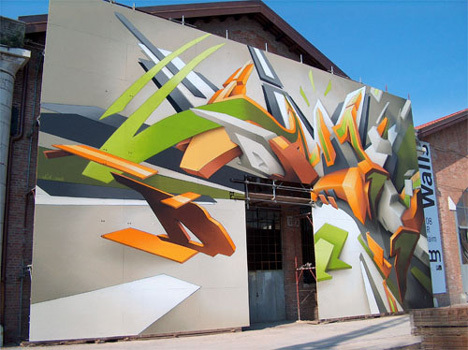 Daim Graffiti. I started looking into 3d styles of graffiti when I started researching graffiti during one of my studios in architectural school. I came across DAIM and his work immediately caught my eye. He is a pioneer when it comes to 3d graffiti. Check out some of his work below or go to his website.